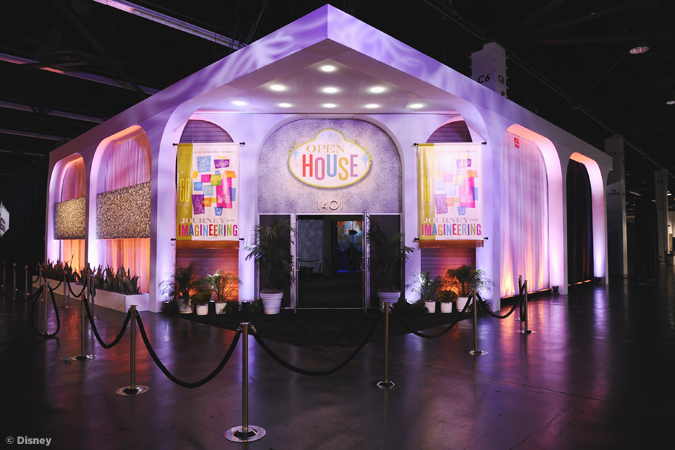 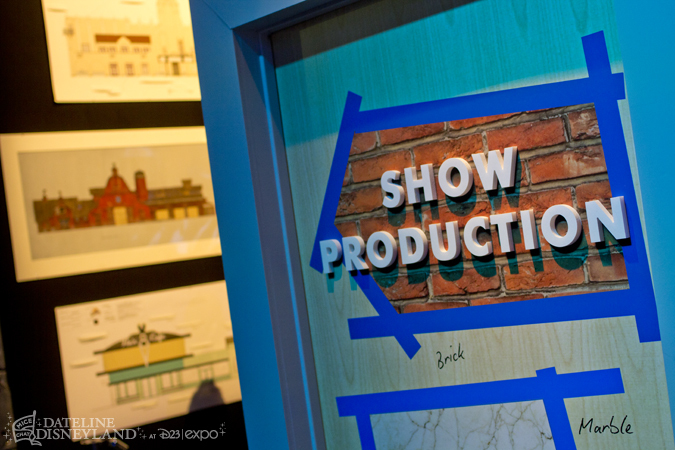 Guests entered the doors to 1401 Flower Street into the preshow room for the pavilion. 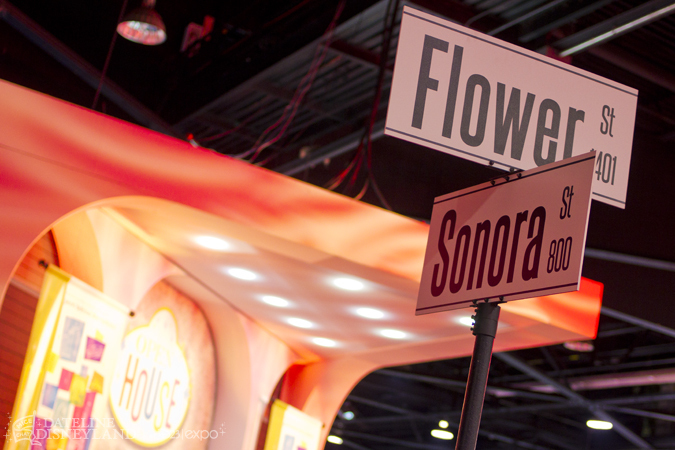 Upon entering into the main showroom, guests were greeted with a large throwback to the oil lamp that was part of the post-show at Disneyland’s classic Adventure Thru Innerspace. 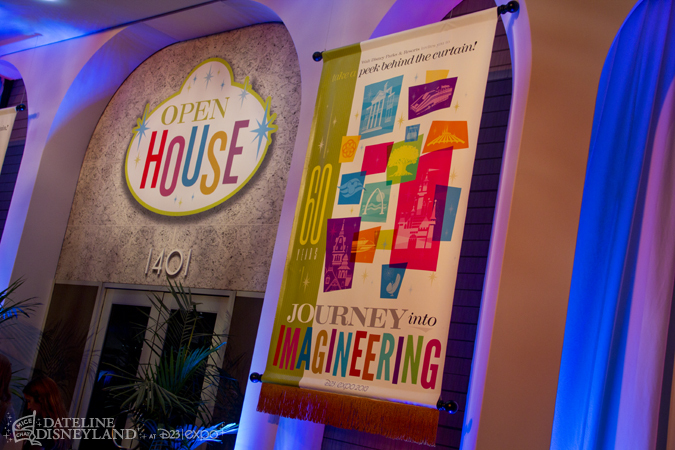 As the sign above the door stated, “Journey Into Imagineering” was largely an “open house” for Walt Disney Imagineering and the main point of the pavilion this year was the ability for guests to be able to talk with Imagineers and learn more about what each of them do. 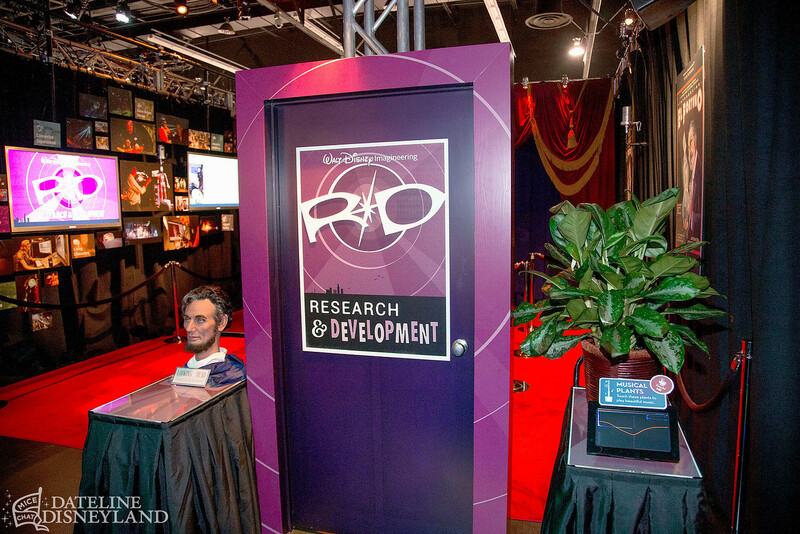 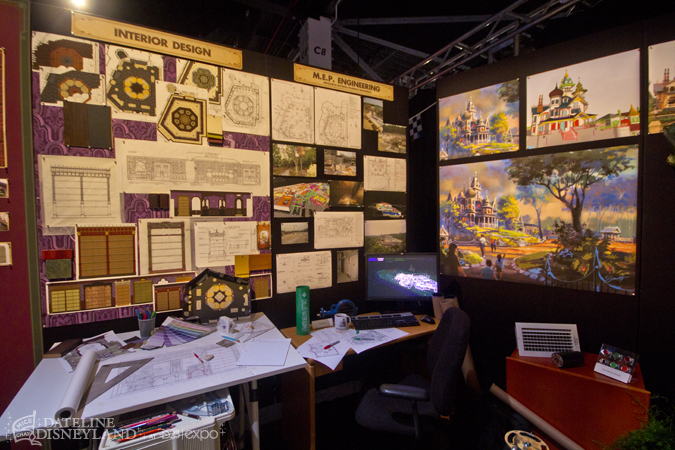 The first room allowed guests to meet with Imagineers working on new projects at Walt Disney World, from the Disney Springs project (a major overhaul of Walt Disney World’s Downtown Disney) to the Avatar project that is still being planned for Disney’s Animal Kingdom as well as a hint at new Star Wars attractions for Walt Disney World. 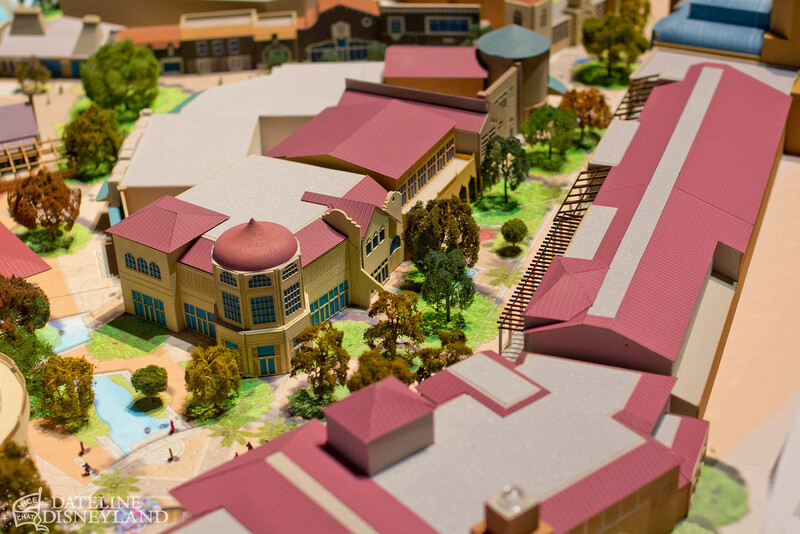 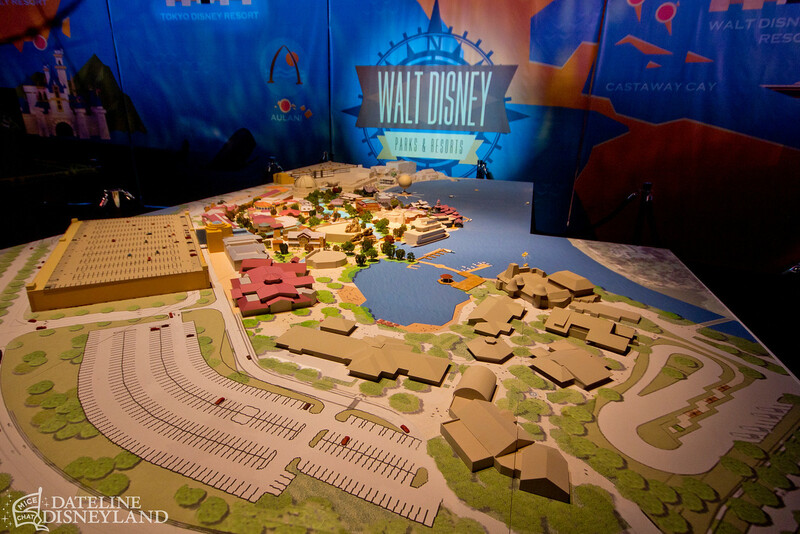 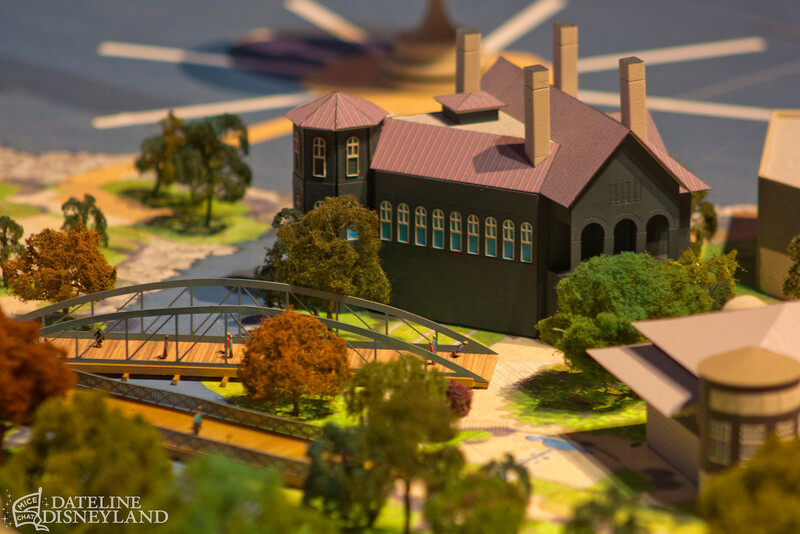 The big Disney Springs scale model let visitors get an idea of what the Downtown Disney transformation will end up looking like. 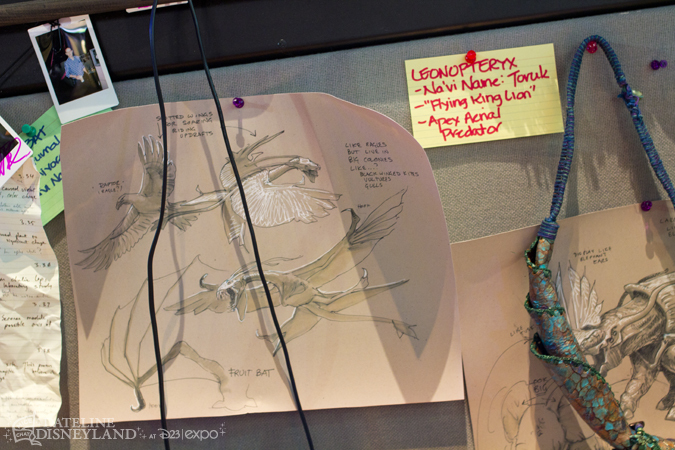 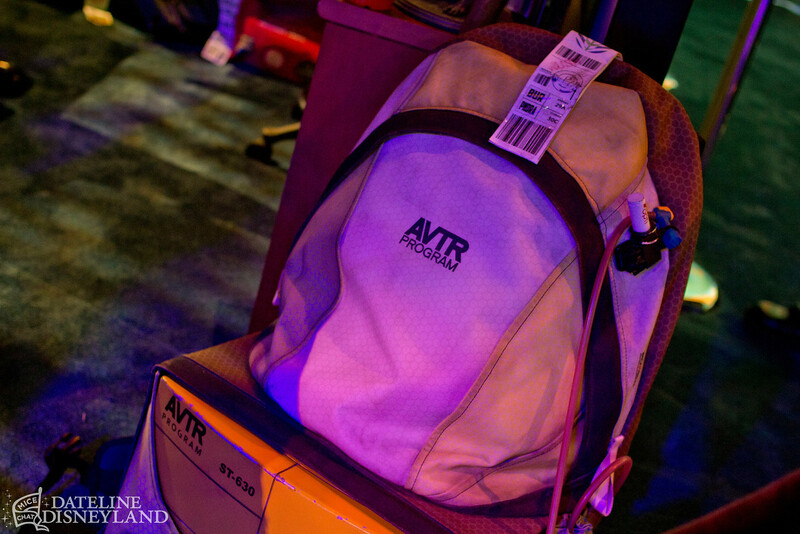 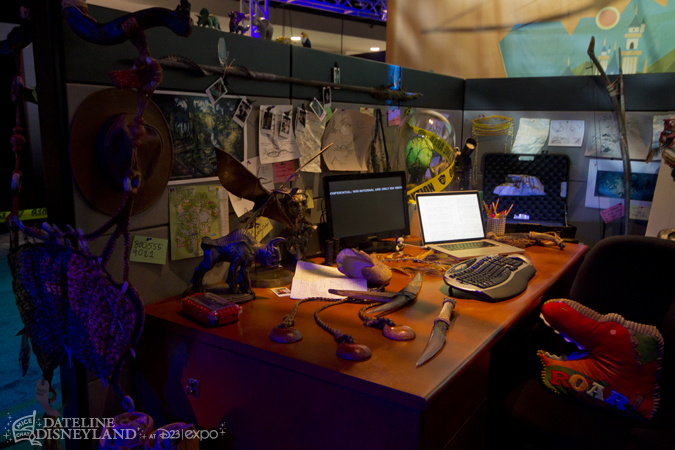 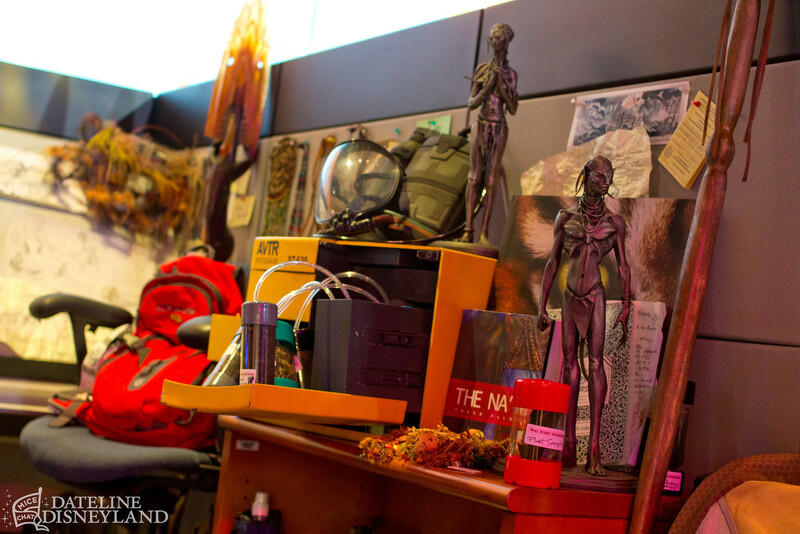 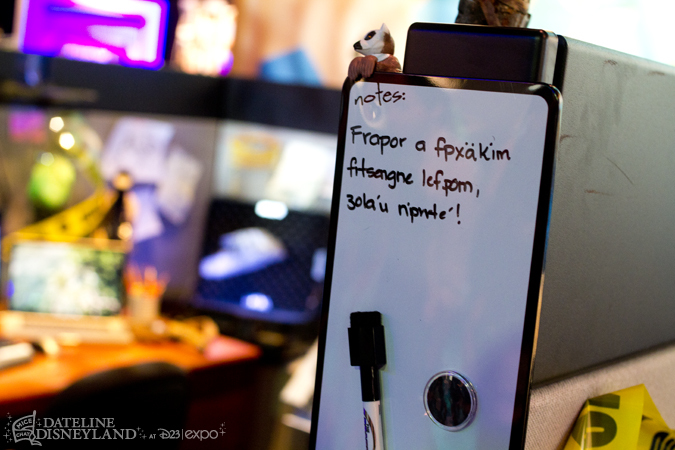 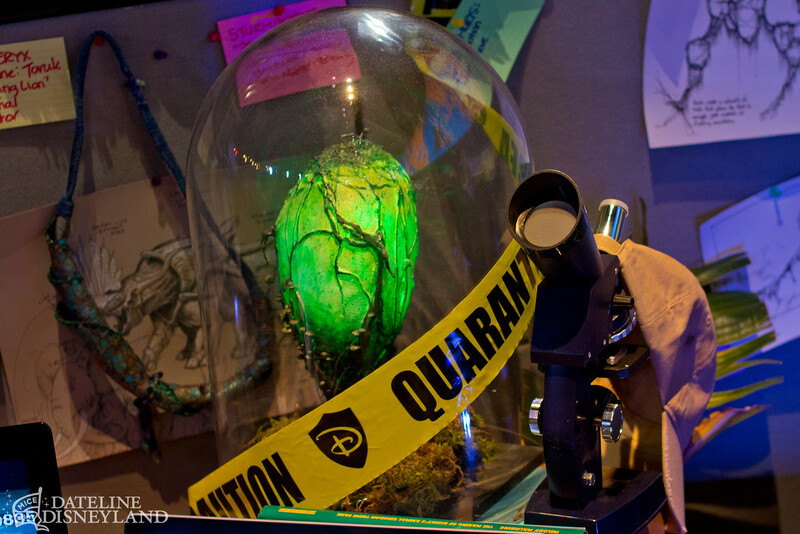 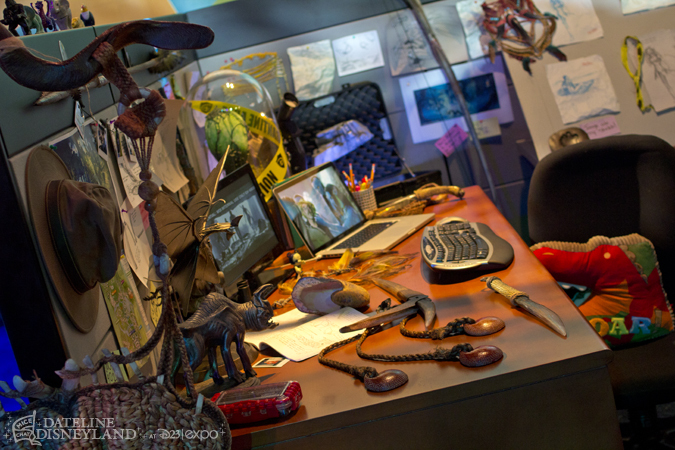 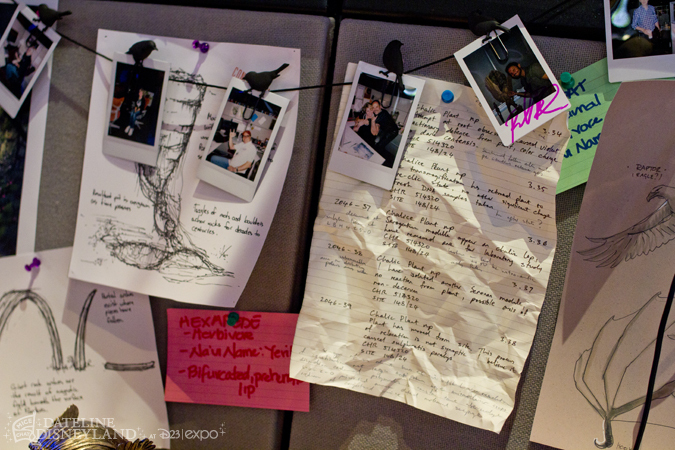 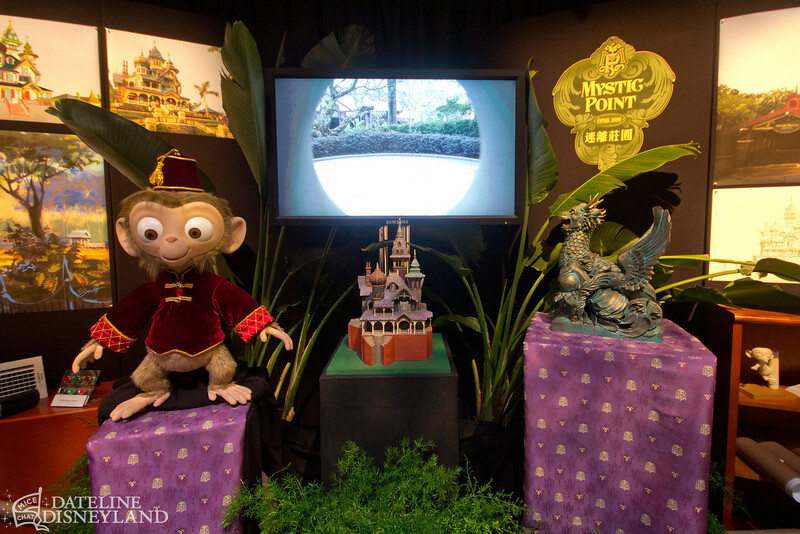 An Imagineering office cubicle was on display, filled with props, sketches and items related to the upcoming Avatar project in the works for Disney’s Animal Kingdom. With Disney not quite ready to announce details for the upcoming Avatar Land expansion, Imagineers working this booth managed keep straight faces when talking about taking a research trip to the fictional planet of Pandora to learn as much as they could about the Na’vi and the planet so they could properly recreate Pandora at Disney’s Animal Kingdom. Plenty to look at here but not really much to see. 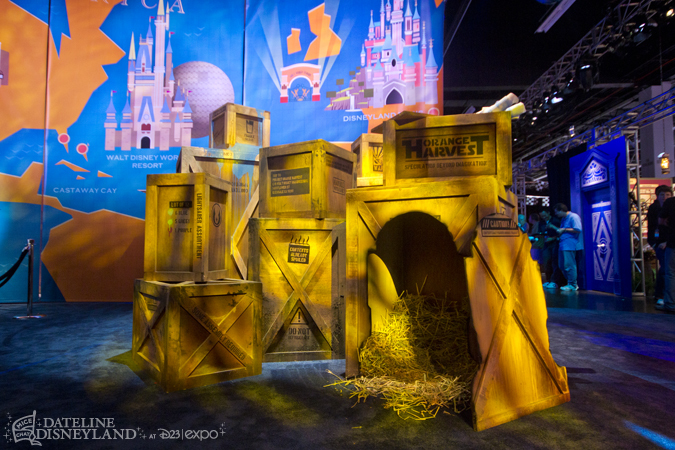 Nearby, a stack of crates with various Star Wars references hinted at an upcoming Star Wars-themed project for Walt Disney World. 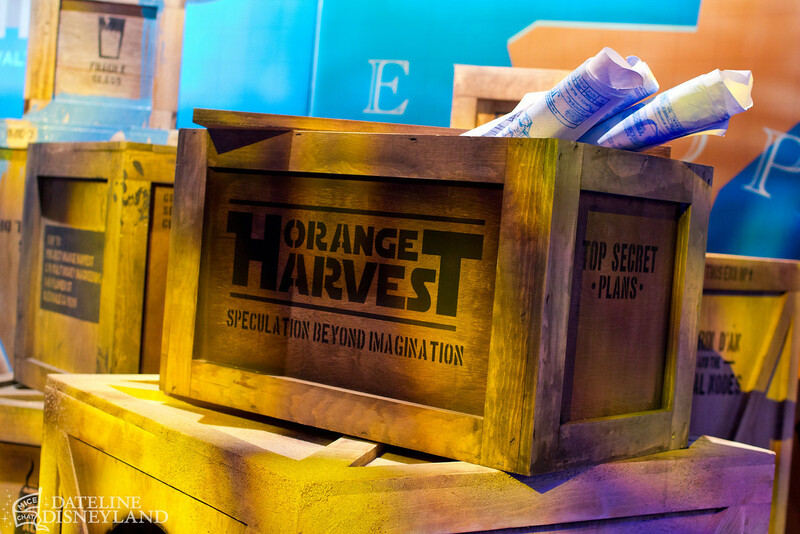 Much like at the Avatar display, Imagineers here were tight-lipped and stuck to their script which said these crates were delivered to Imagineering but wouldn’t be able to find out what’s inside until they them get back to Glendale. 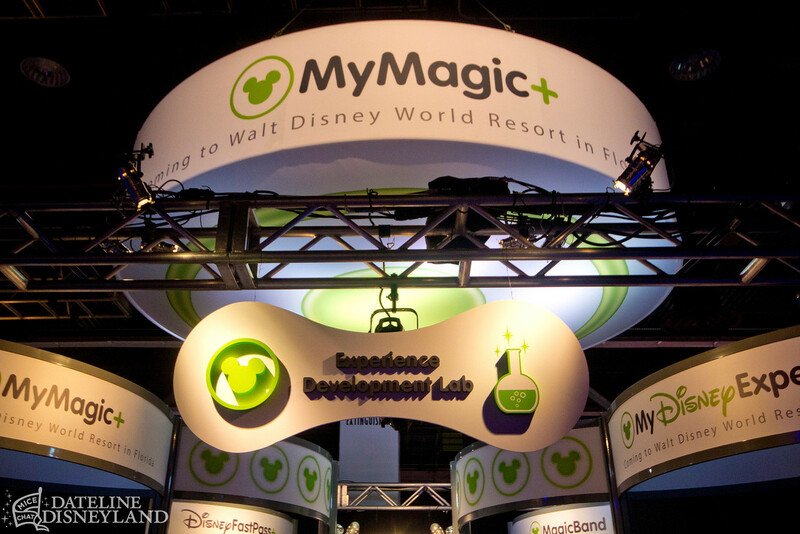 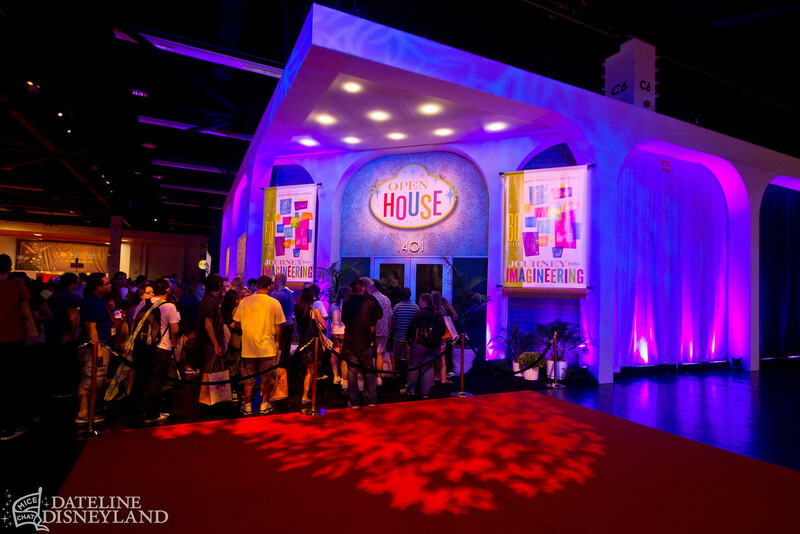 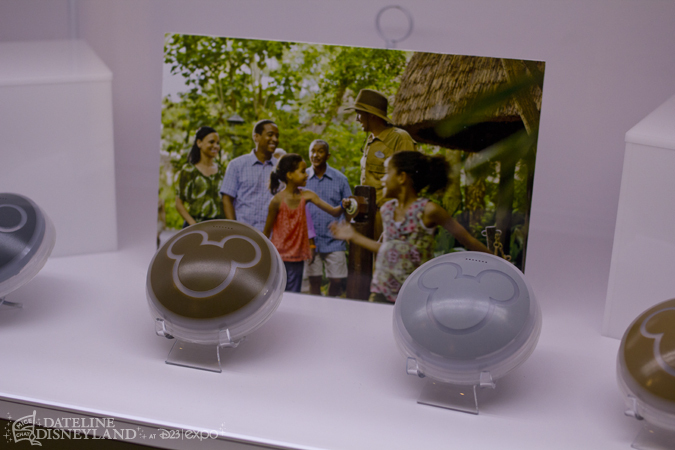 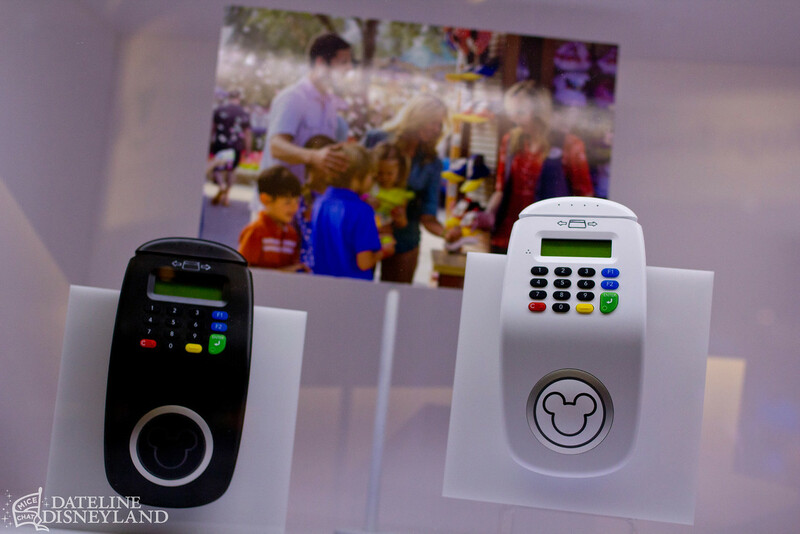 Also represented in the pavilion was the new MyMagic+ program coming to Walt Disney World. The RFID-based technology is expected to transform the guest experience at Walt Disney World and Disney says it will make vacations easier for guests. 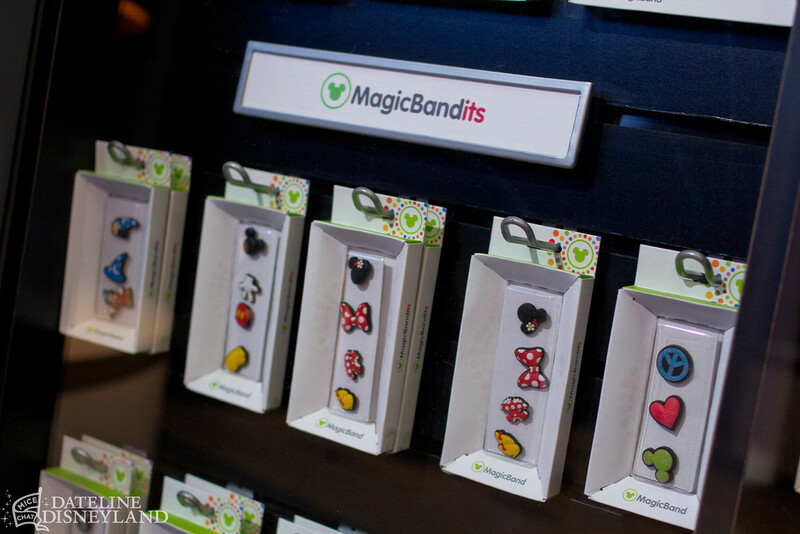 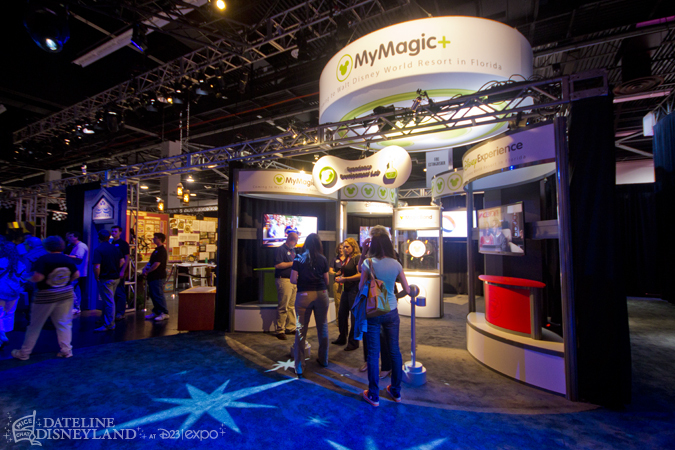 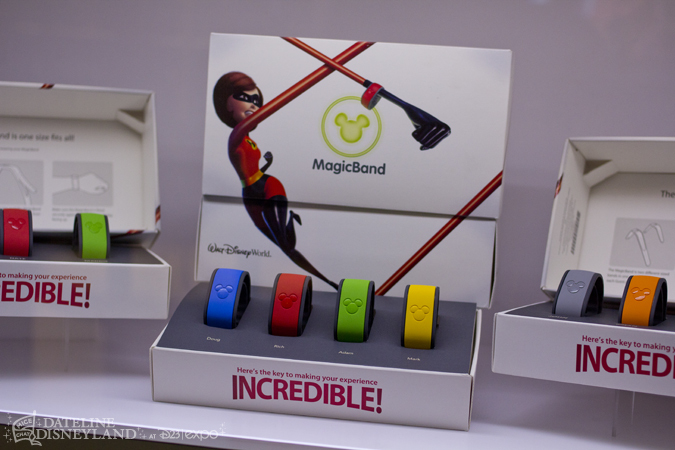 The display showcased a lot of MyMagic+ wristbands and hardware in a very clean, contemporary space. 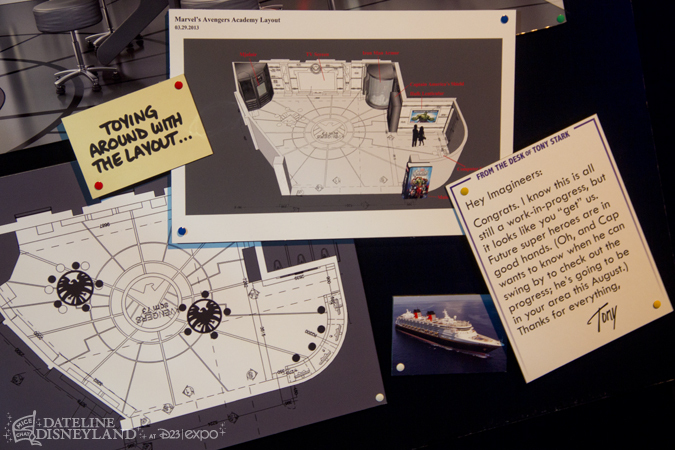 This would have been an incredible ride. 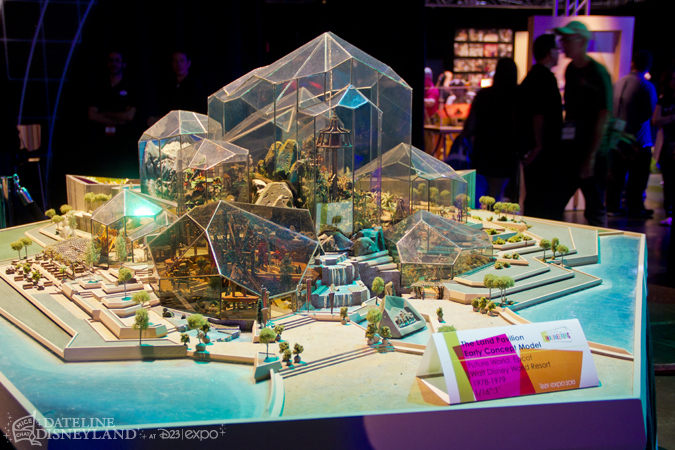 A concept model for EPCOT’s Space Pavilion. 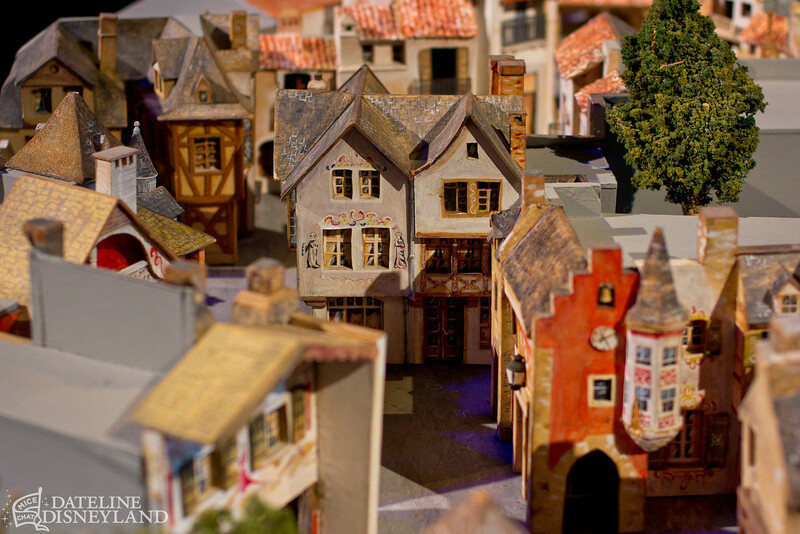 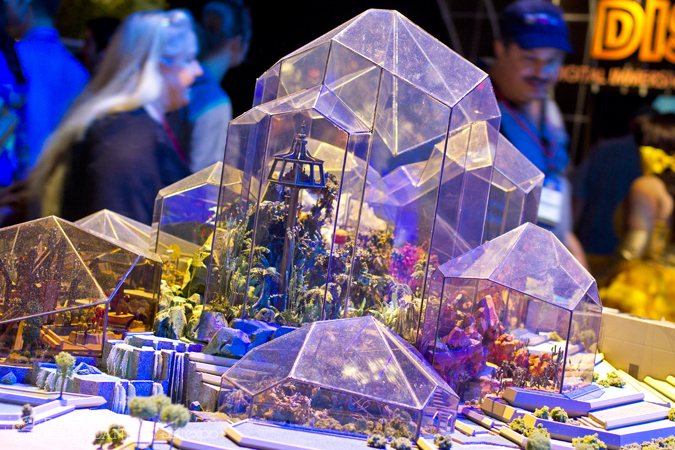 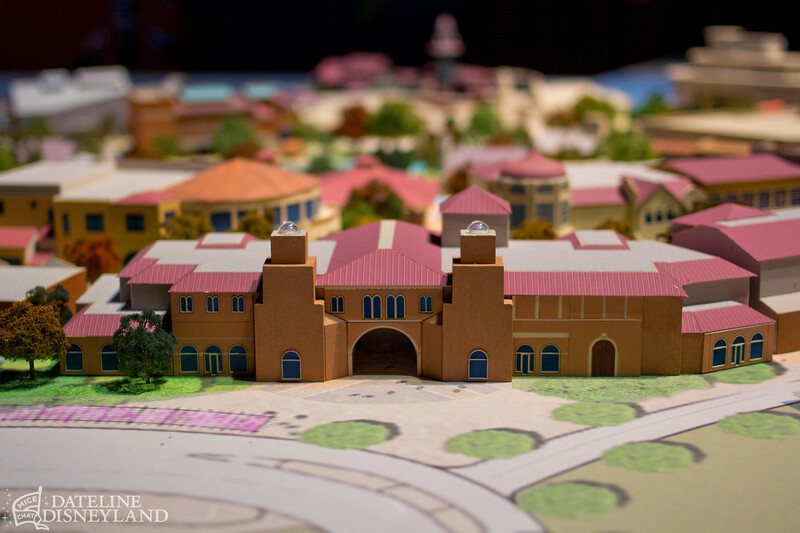 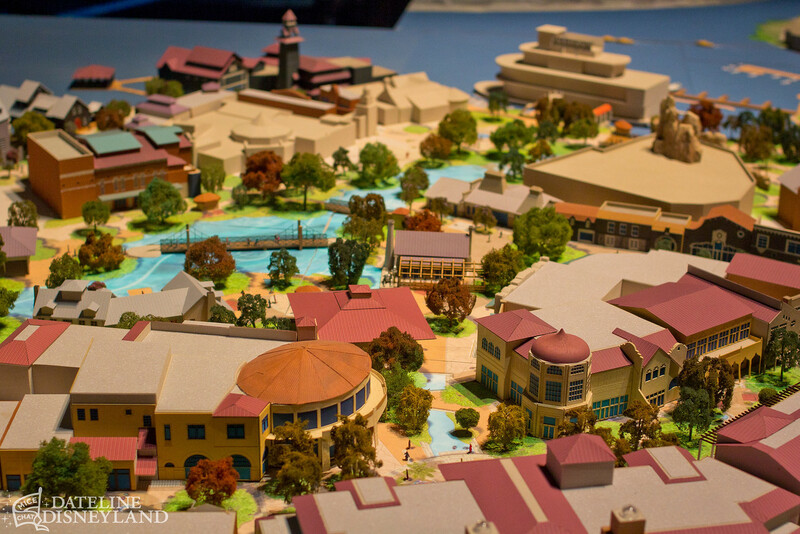 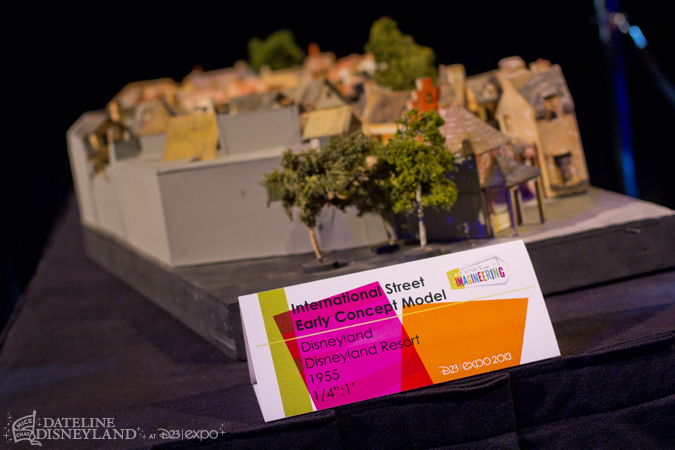 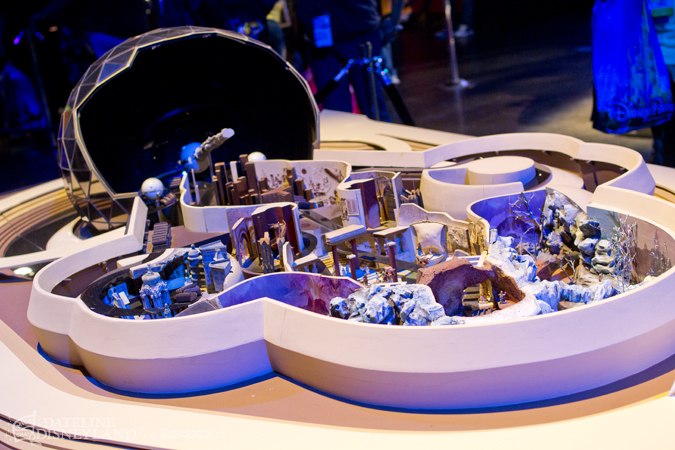 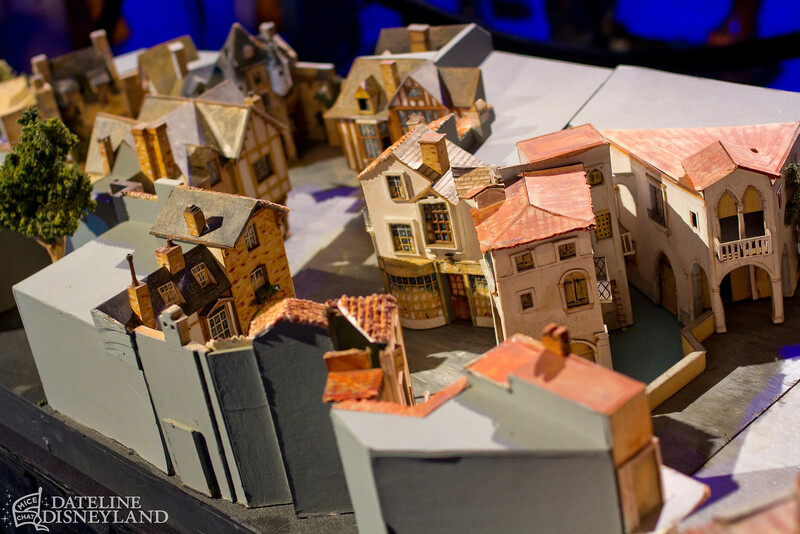 A gorgeous model of the never-built International Street for Disneyland was on display. Shame this didn’t get built – it looks like it would have been wonderful. 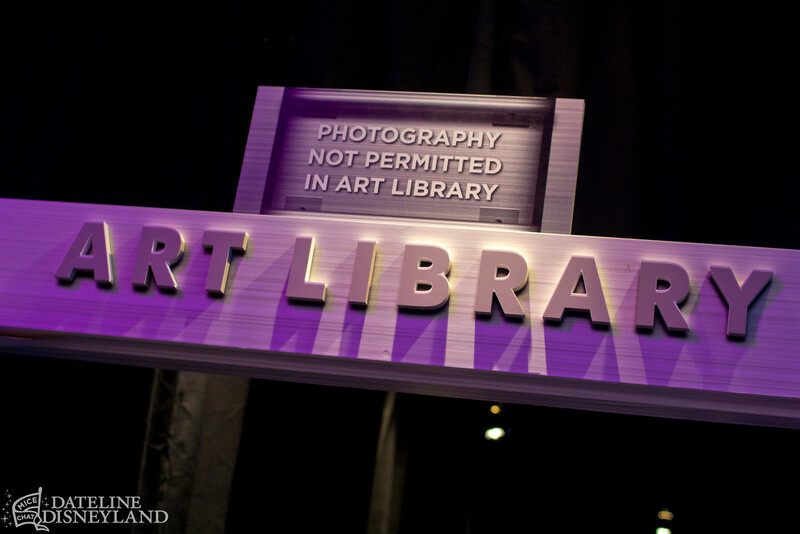 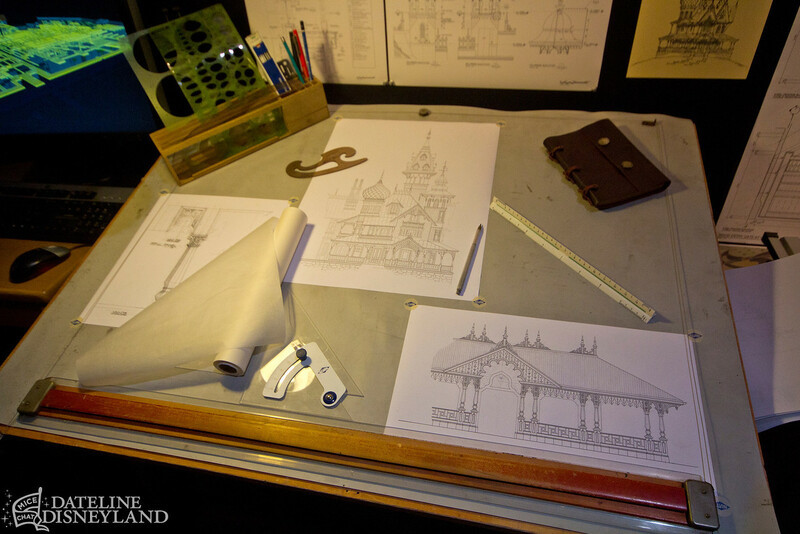 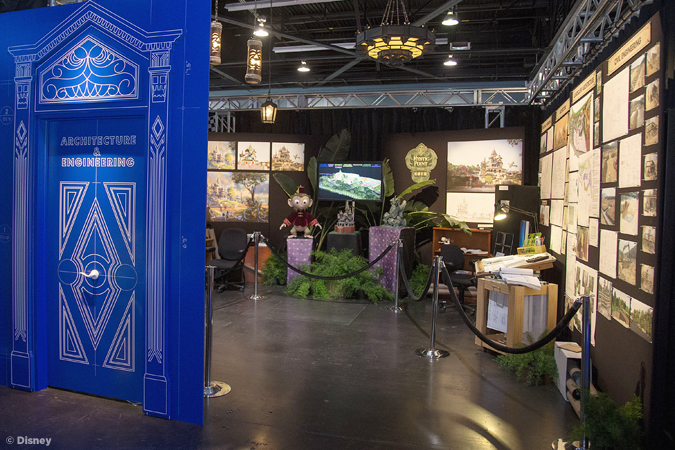 My personal highlight of the Parks and Resorts pavilion was the Imagineering Art Library walk-through experience. 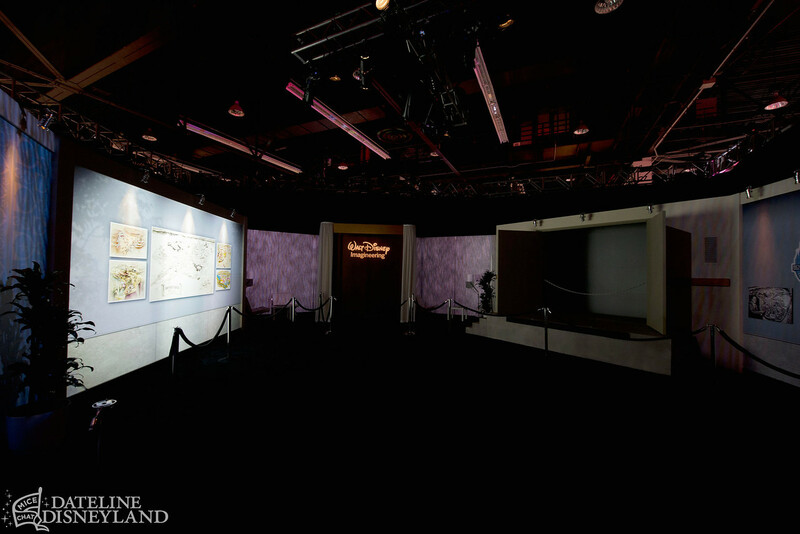 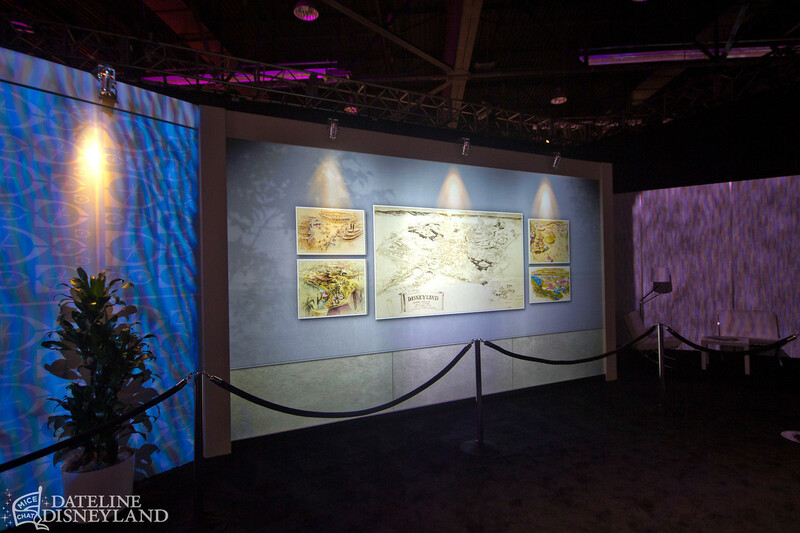 The walk-through showcased several pieces of iconic Disneyland artwork, including the original pencil drawing of Disneyland by Herb Ryman that Walt Disney took to the bankers to get funding for Disneyland. 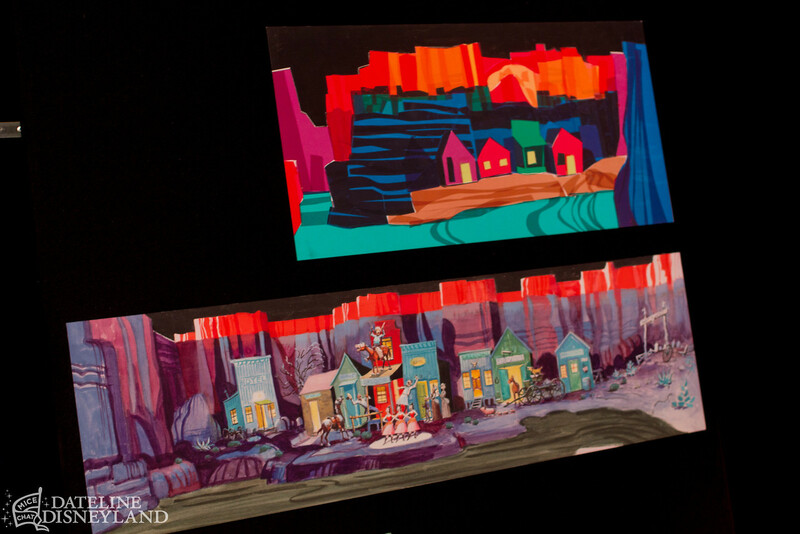 Also on display was the original black light painting of Disneyland by Peter Ellenshaw that Walt Disney showed off on television when announcing Disneyland to the public. I got chills when the black lights were turned on and Peter Ellenshaw’s nighttime vision of the park came alive. 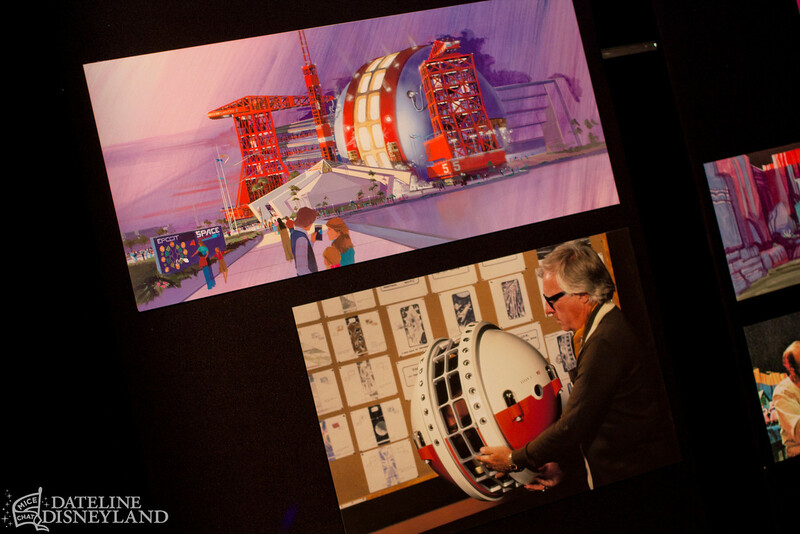 It was a truly incredible experience to see this art in person and a big thanks goes out to the folks in the Walt Disney Imagineering Art Library for putting this together. 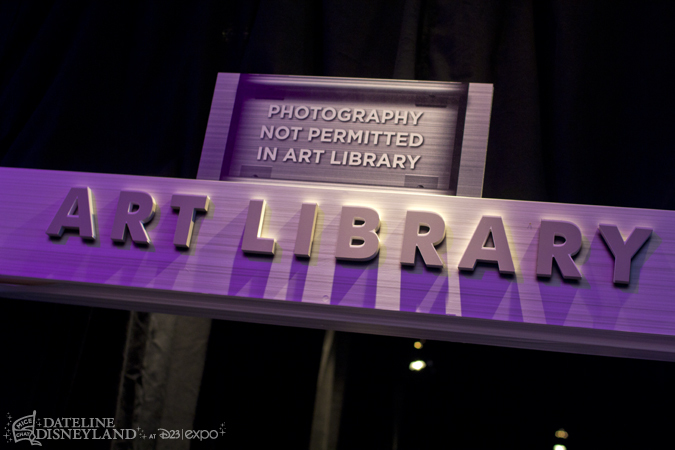 Unfortunately (but understandably), no video or photography was allowed. 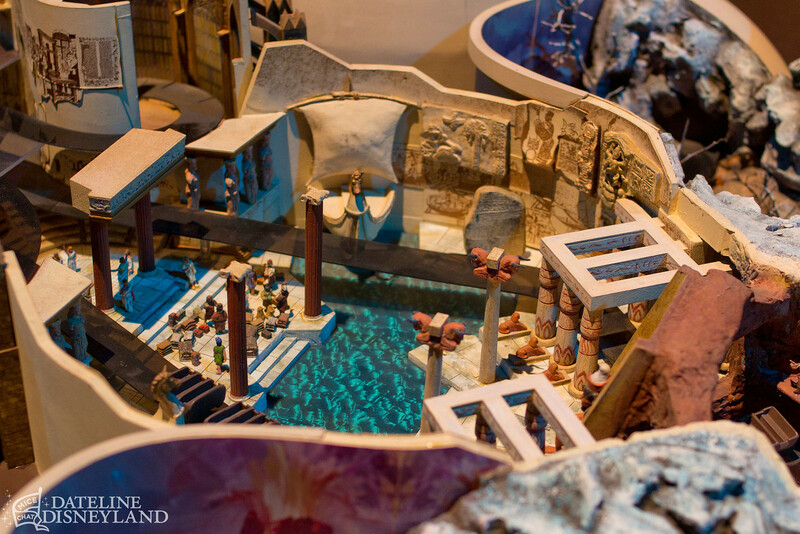 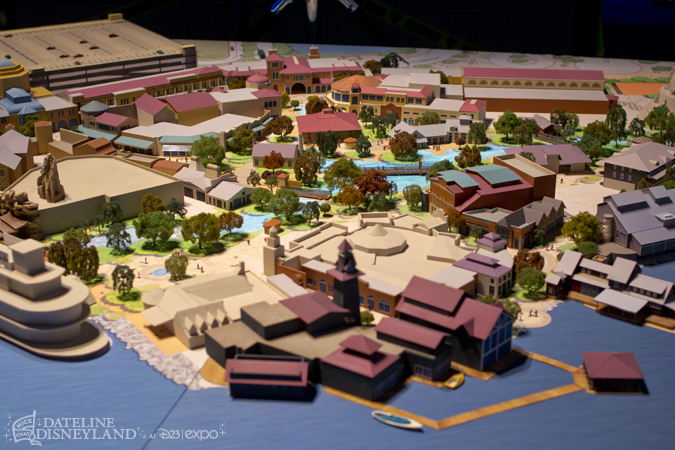 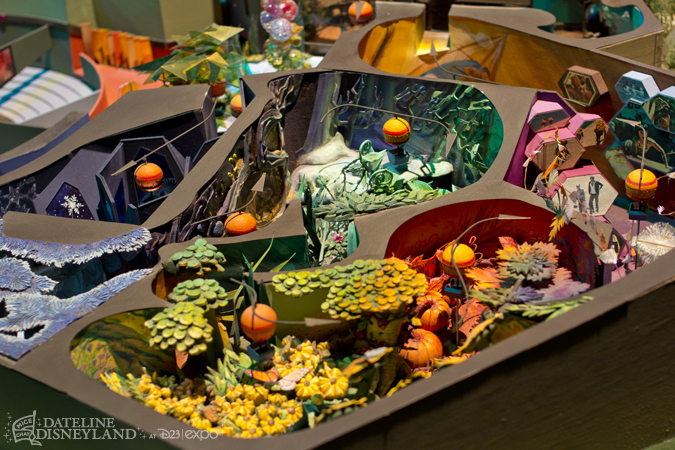 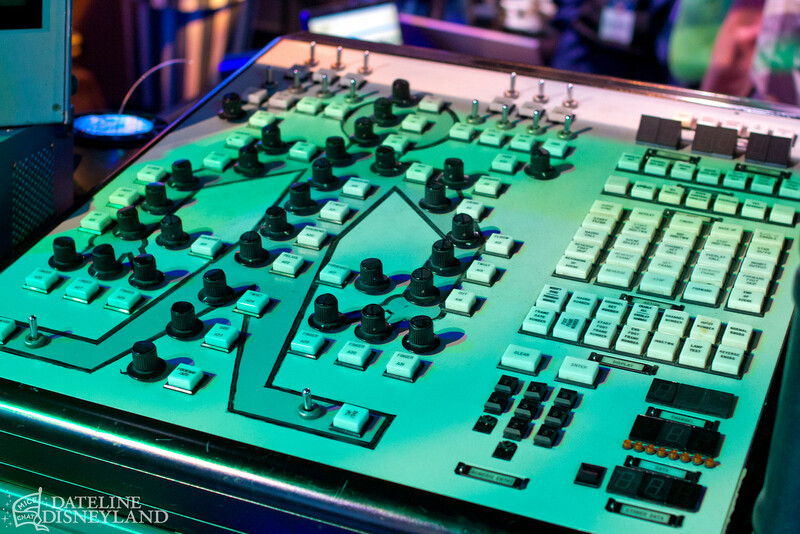 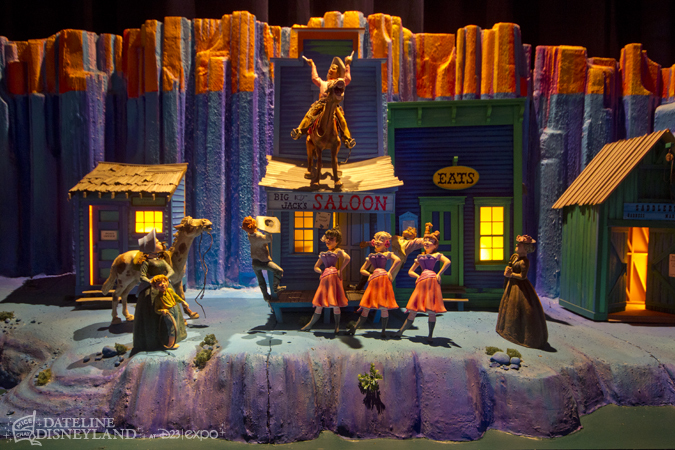 The stunning original model for the Tony Baxter-designed Land Pavilion for EPCOT Center was on display as well. It was an absolute treat to see in person. 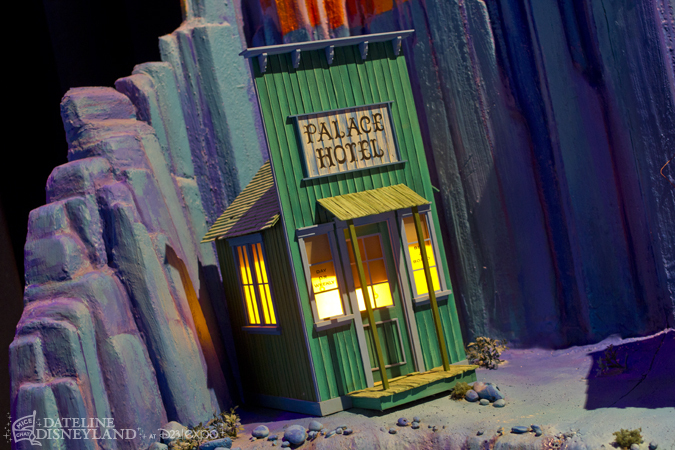 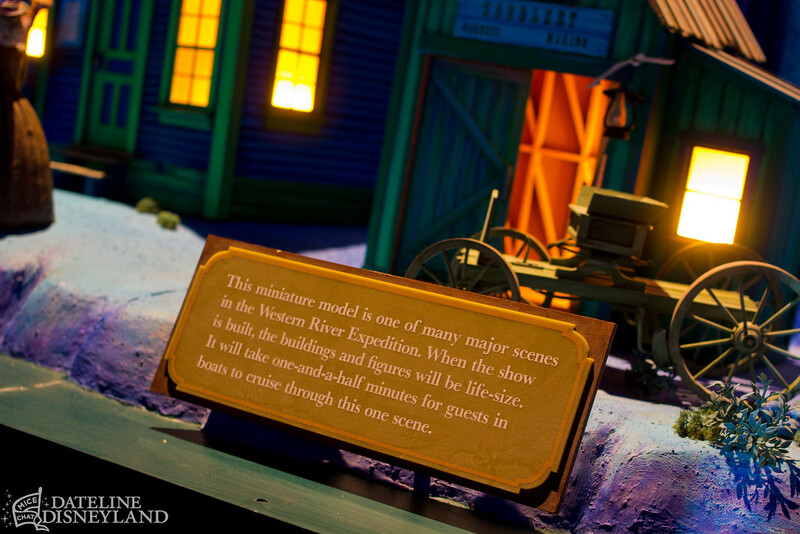 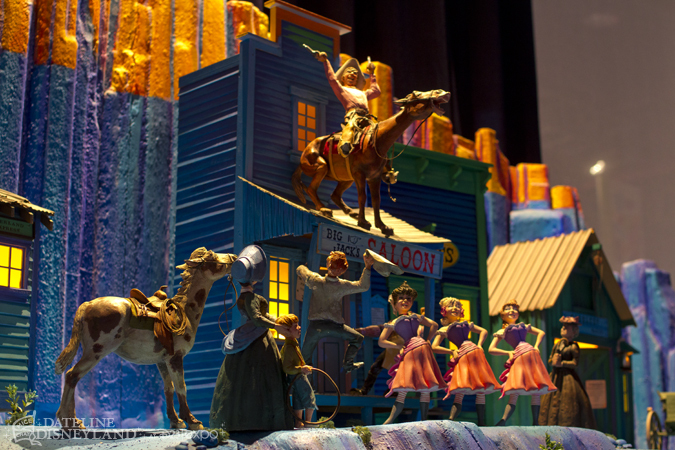 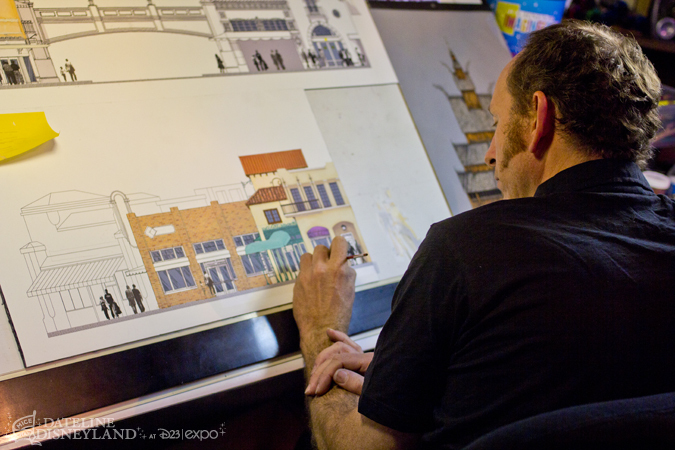 The original concept for the Land’s main attraction was a hot air balloon-themed ride through incredible show scenes, which you could see represented in the model. 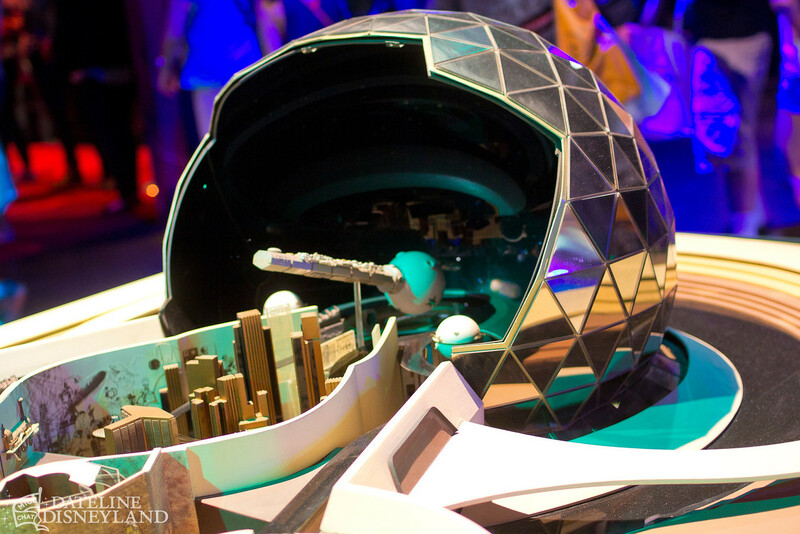 Also on display was an early model for EPCOT Center’s Spaceship Earth. Really amazing stuff. Much of the pavilion was divided into pseudo-workspaces for Imagineers where you could see what various Imagineering departments do and how they work. 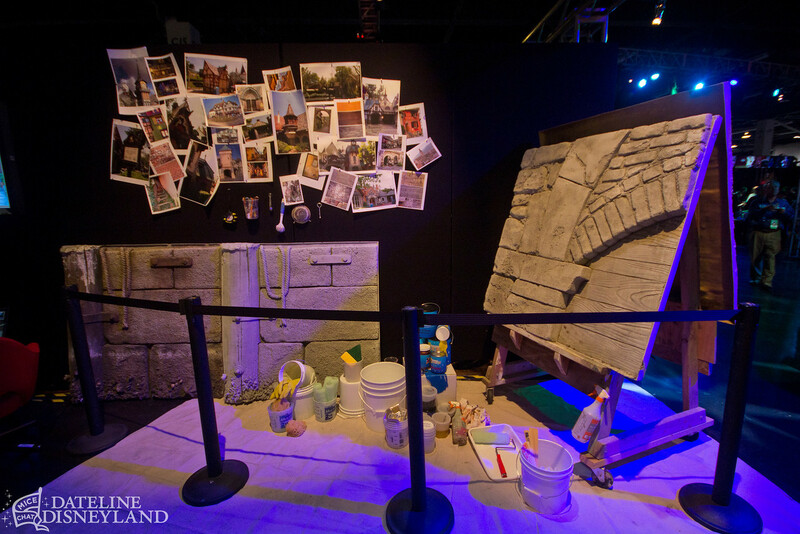 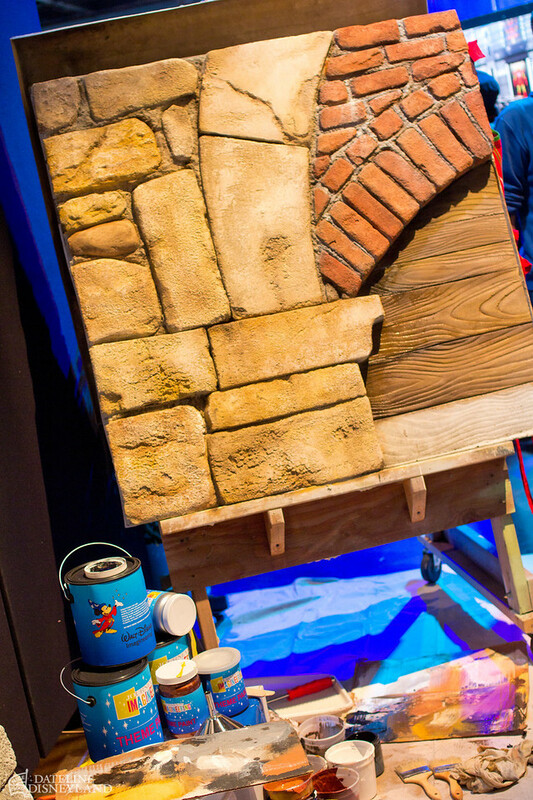 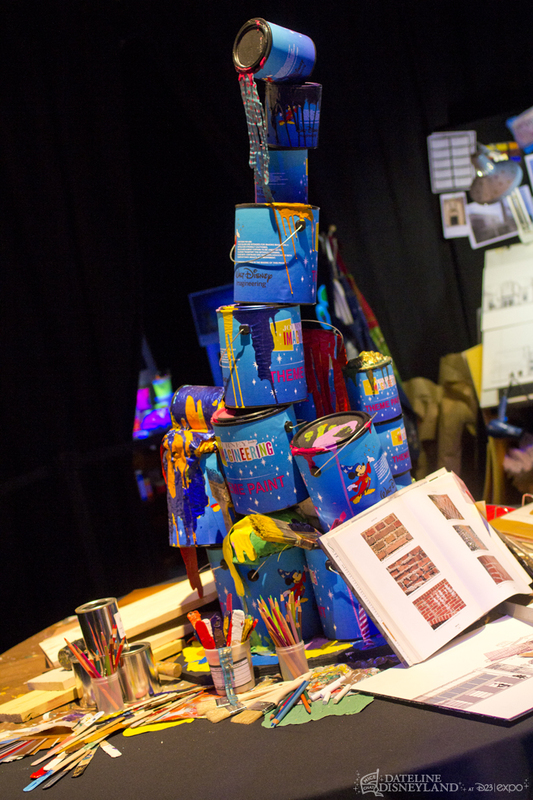 Show Production featured a lot of paint, with Imagineers painting elevation renderings in person as well as live-painting a portion of a character wall over the course of the Expo. 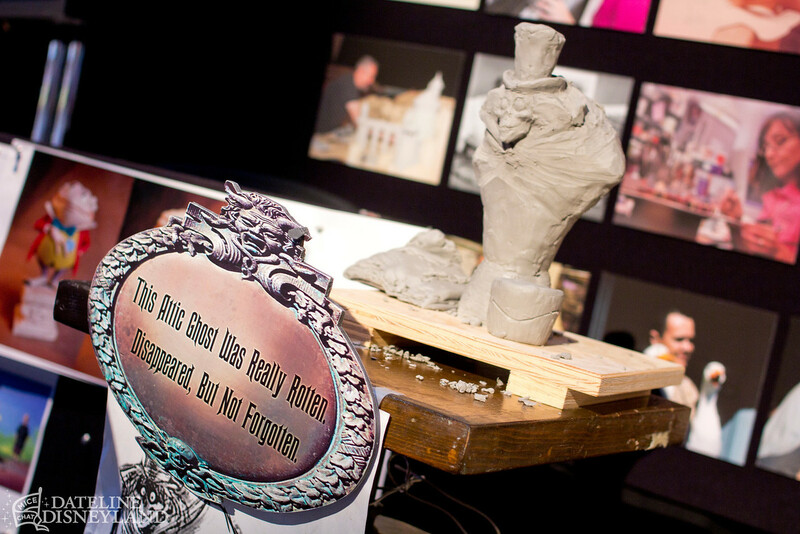 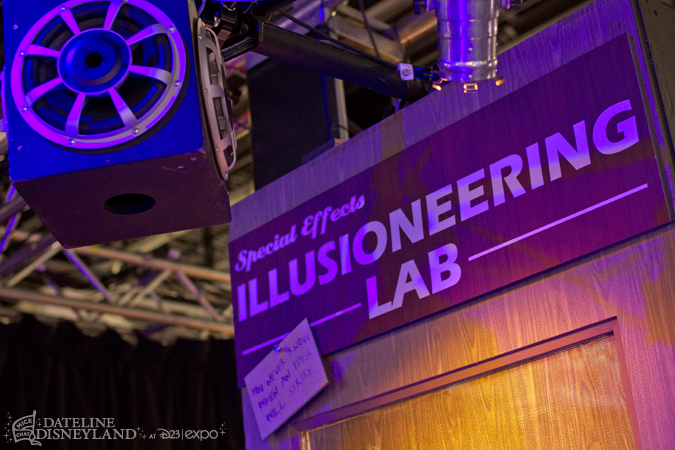 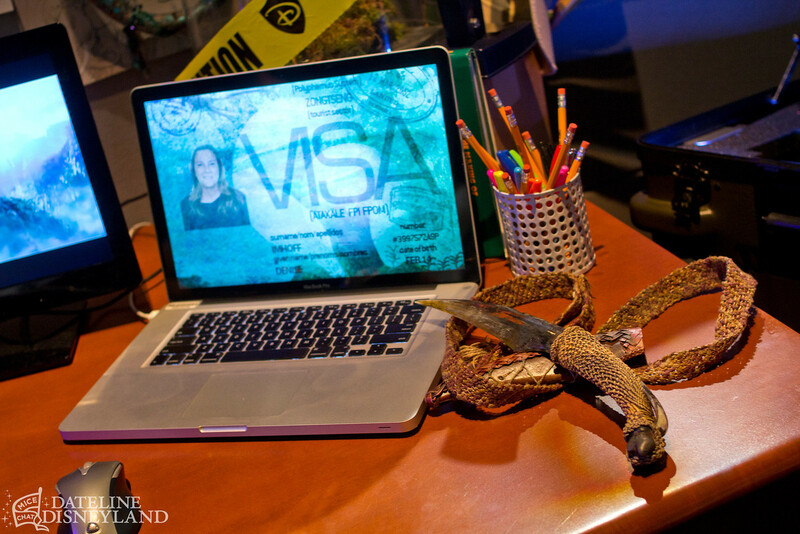 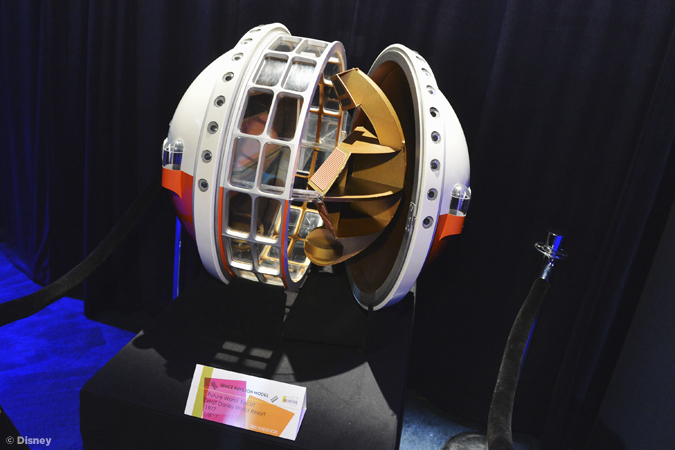 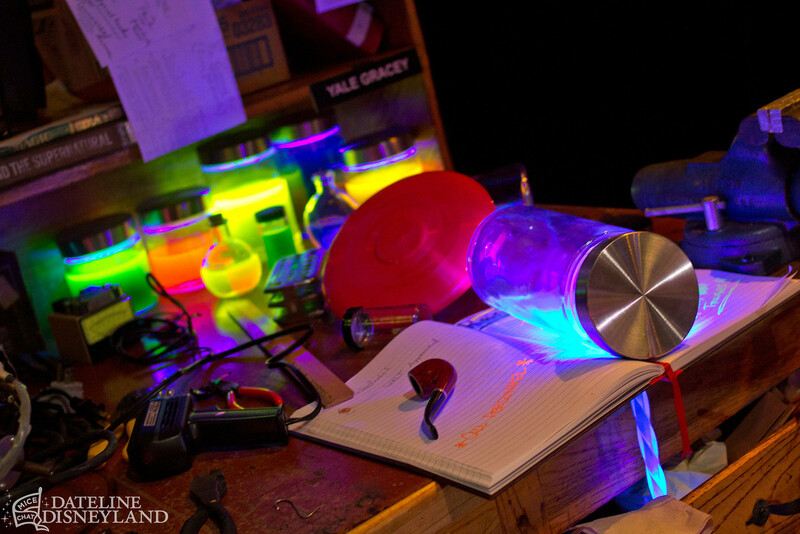 The Illusioneering Lab paid tribute to master Disney special effects artist Yale Gracey. 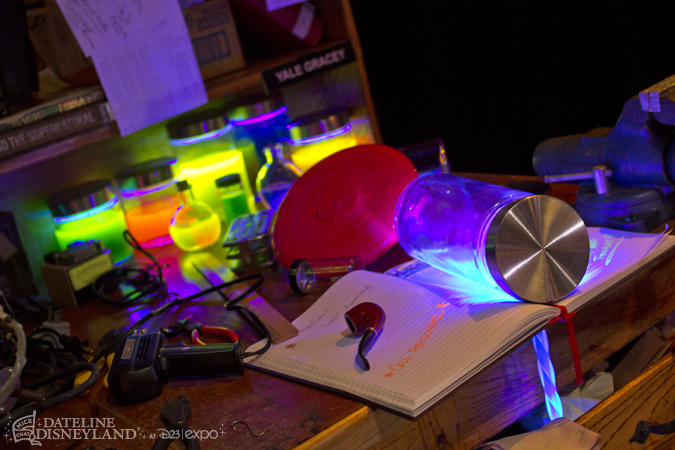 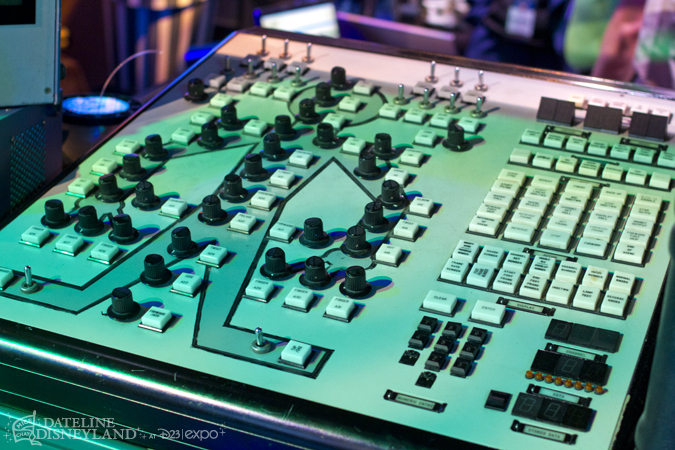 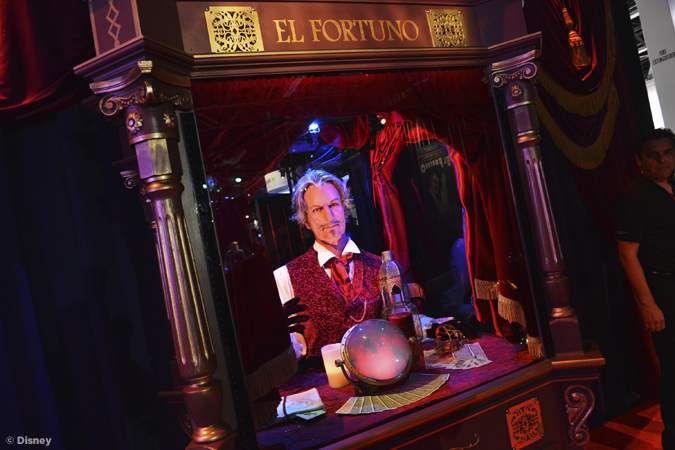 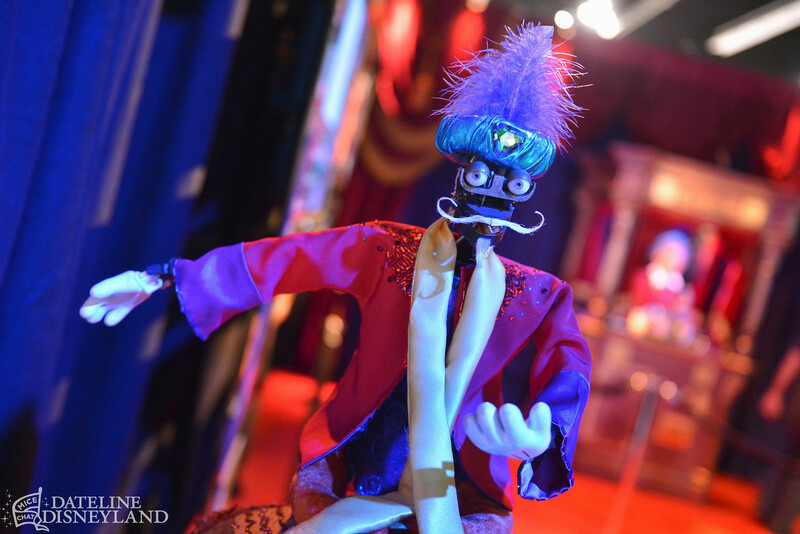 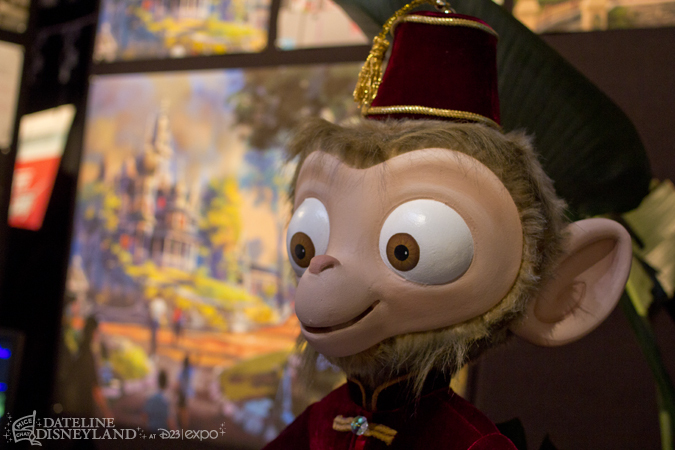 El Fortuno, the latest interactive Audio-Animatronic from Imagineering. 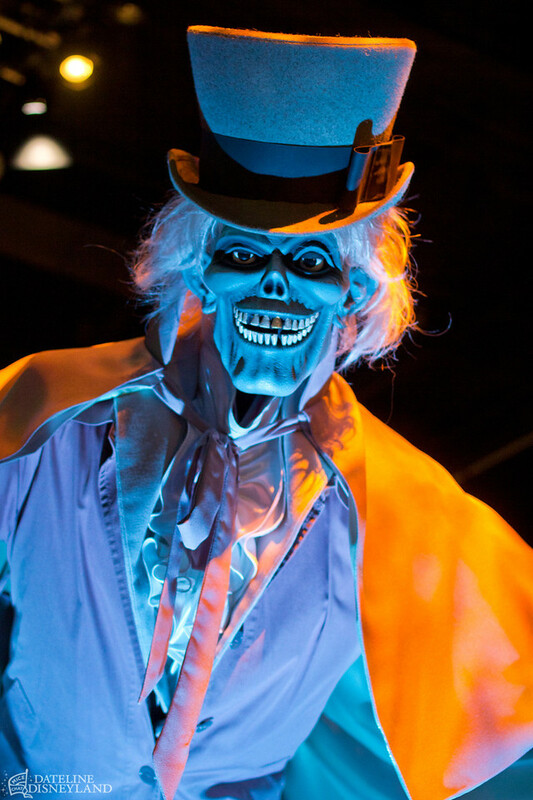 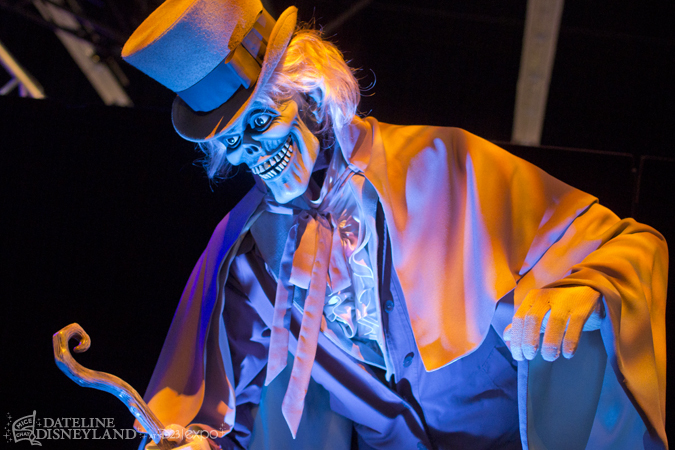 Perhaps one of the biggest surprises and most popular features of the pavilion was the Hat Box Ghost on display in the Show Animation department. 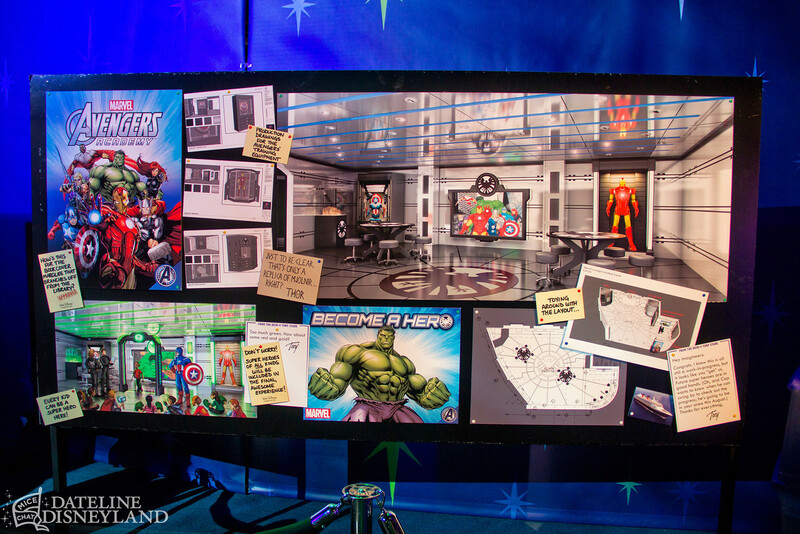 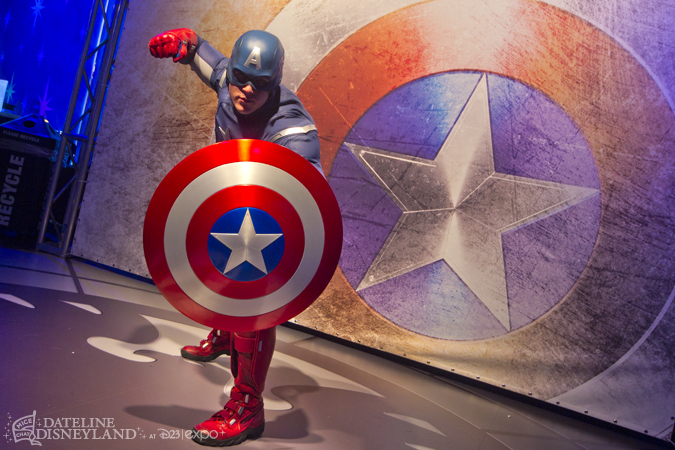 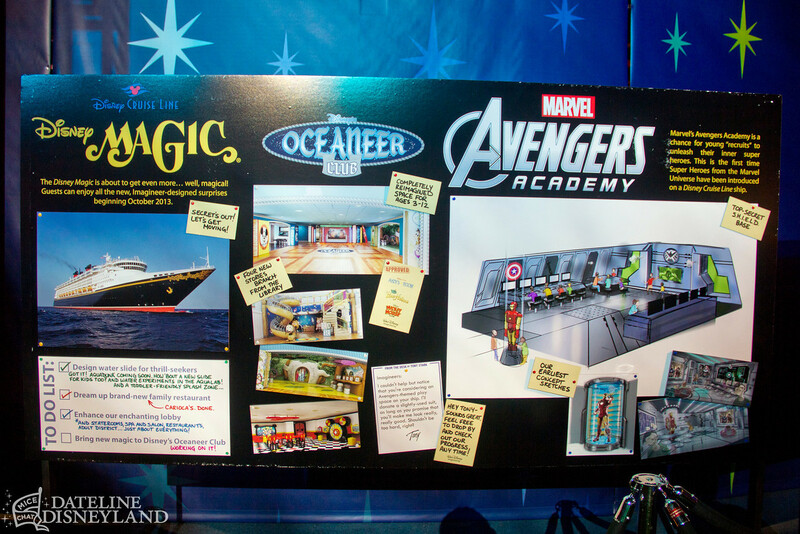 The Imagineering pavilion also gave guests the opportunity to meet Marvel’s Captain America, who will be appearing in a new meet-and-greet and interactive kids show called “Avengers Academy” aboard the Disney Cruise Line’s Disney Magic ship. 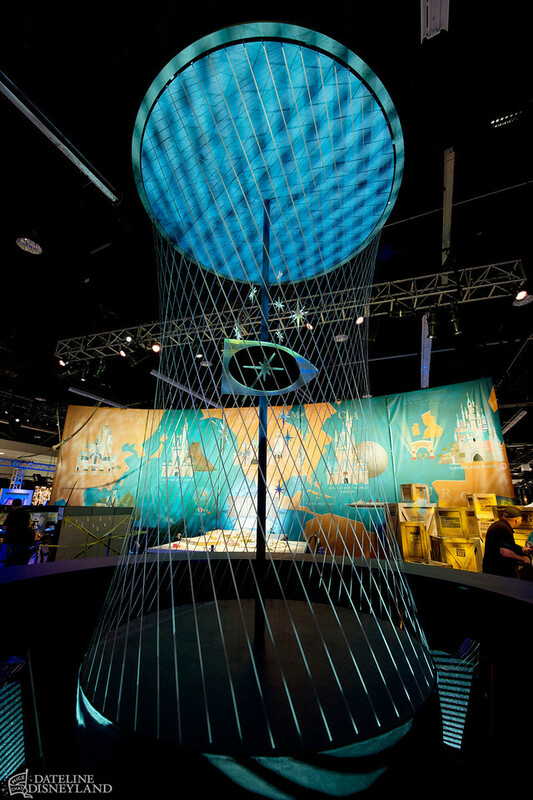 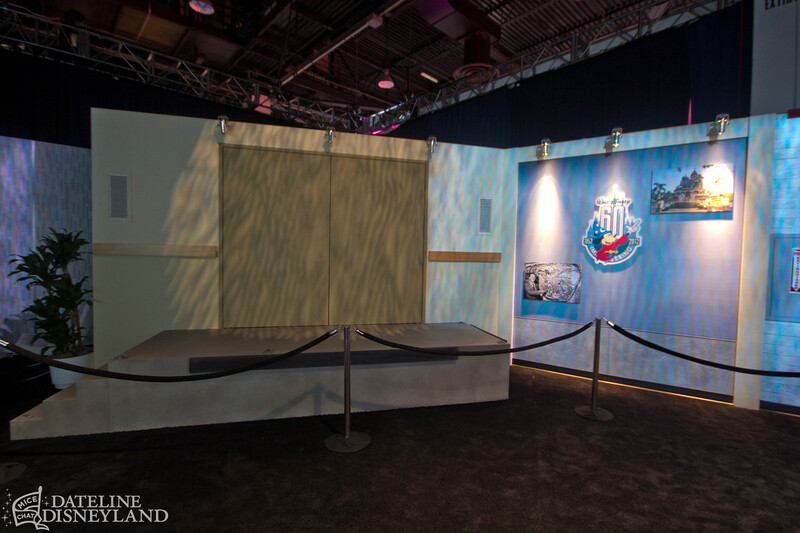 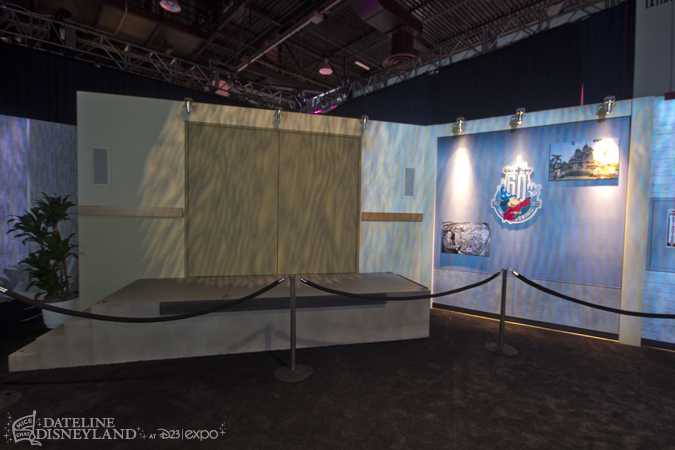 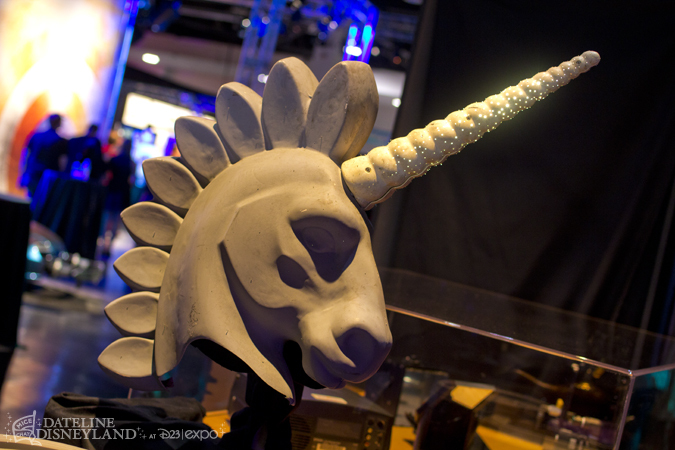 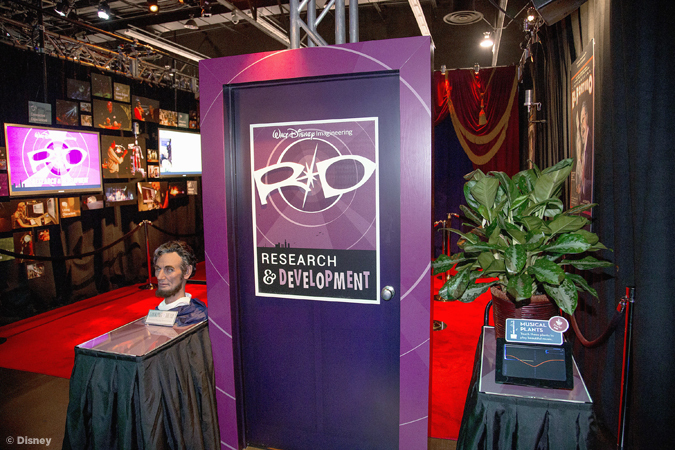 The Dimensional Design booth let guests see some original macquettes and sculpture work from Imagineering. 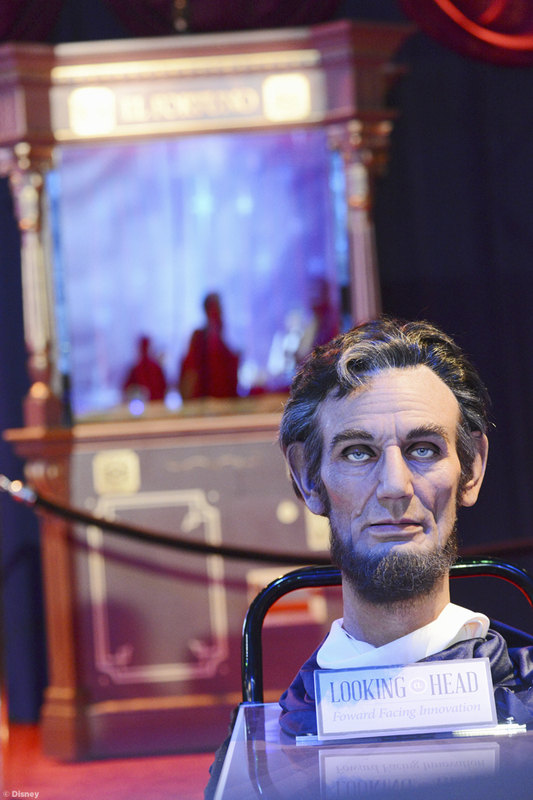 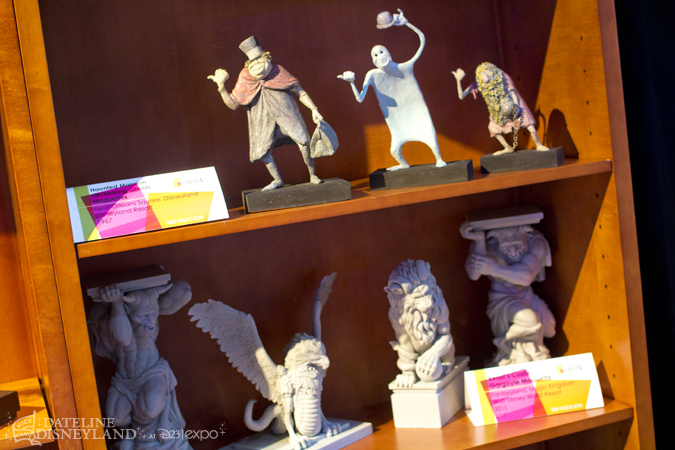 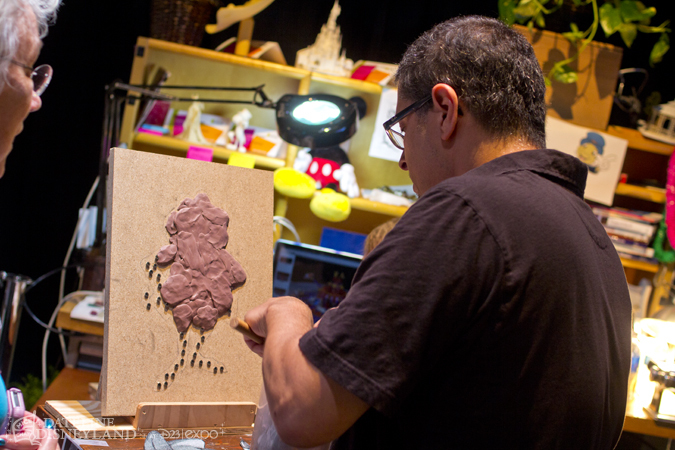 Imagineers sculpted live while talking to guests. 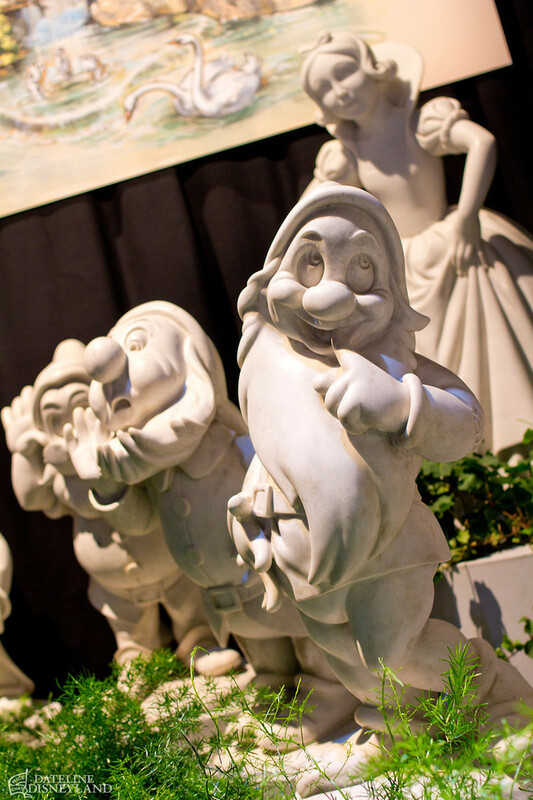 The original marble Snow White Grotto statues that were sculpted in Italy under the supervision of Leonida Parma and given to Walt Disney in 1958 were on display. The originals were removed from Disneyland in 1982 and replaced with replicas.